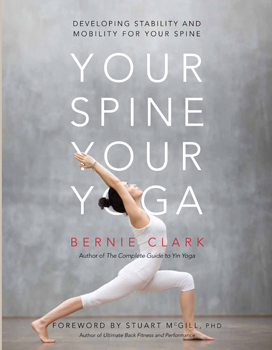 Your Spine, Your Yoga is the first book that looks at the spine from both the Western anatomical/biomechanical point of view and the modern yoga perspective. It is filled with detail, discussion, illustrations, and practical advice for spines of all types. This emphasis on variety is welcome and necessary: no two spines are exactly alike, and no two people have the same biology and biography. What your spine is able to do may be vastly different from what other yoga students' or teachers' spines can do. Your Spine, Your Yoga is the second book in the "Your Body, Your Yoga" series and focuses on the axial body - the core, from the sacral complex, which includes the pelvis, sacrum, and sacroiliac joint, through the lumbar and thoracic segments of the spine, to the cervical complex, which includes the neck and head. Whether the reader is a novice to yoga, anatomy, or both, or a seasoned practitioner with an in-depth knowledge in these fields, this book will be valuable. For the novice, there are easily understood illustrations and photographs, as well as sidebars highlighting the most important topics. For the anatomy geek, other sidebars focus on the complexity of the topic, with hundreds of references provided for further investigation. For the yoga teacher, sidebars suggest how to bring this knowledge into the classroom. Your Spine, Your Yoga can be used as a resource when specific questions arise, as a textbook to be studied in detail, or as a fascinating coffee-table book to be browsed at leisure for topics of current interest.